What is at stake is nothing less than the Original Equipment Manufacturers’ and suppliers’ future share of the automotive value chain and profit pool. As the ‘digital giants’ increase their influence over the cockpit, automotive brands also risk losing direct contact with the customers. Infotainment will emerge as a key differentiation element among OEMs’ value propositions by the turn of the decade. 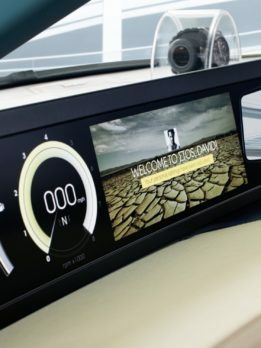 As ‘Mobility as a Service’ significantly cannibalizes the ‘car ownership’ model, infotainment will become a key portal in mobility service distribution. Automated driving will also contribute to this trend as it frees the driver’s time onboard. The automotive manufacturers’ solutions are being disrupted by Google and, to a lesser extent Apple, through 2 key software bricks: Mirroring (replication of the smartphone screen on the car head unit) and core OS (primary software layer of the infotainment platform). As Mirroring is well suited for lower-end and mid-range segments, generalist OEMs will be particularly tempted to switch to Android Auto (Google) and CarPlay (Apple) solutions with the risk of putting the fox in charge of the henhouse. Some OEMs are actively looking into alternatives, teaming up to market an open source Mirroring solution. Thanks to their strong partnership culture and an ability to team up or invest in companies capable of delivering key technological bricks, German premium OEMs are proving that an independent route is possible. Time is of the essence for the rest of the automotive industry to decide which role Google and Apple will be allowed to play in their vehicles.